Rear engine McLaren P1 which release began in 2013, only 375 of these will be released. 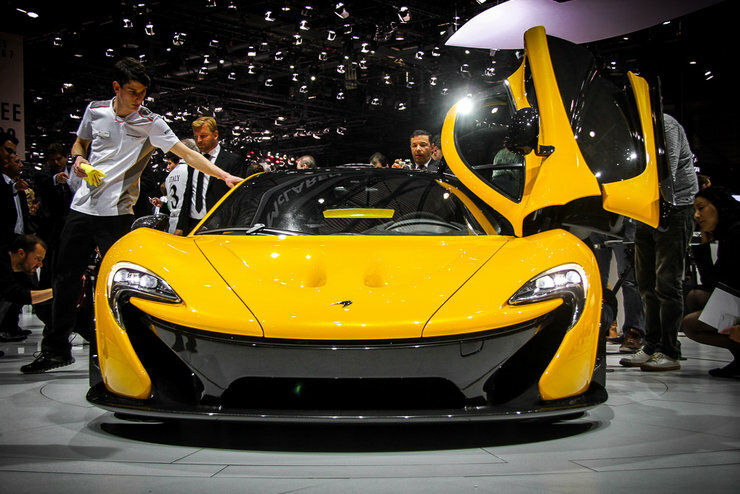 The price of coupe McLaren P1 in the European market — hardly above one million euro. The car is equipped with engine V8 3.8 with two turbochargers, developing 737 l. Besides, the car has a 179 HP electric motor which helps with usual conditions to the petrol power unit at dispersal, and if necessary the driver can engage a mode of full kickback of the electro-motor. Car batteries are recharged at braking; also they can be connected to the household electric system. 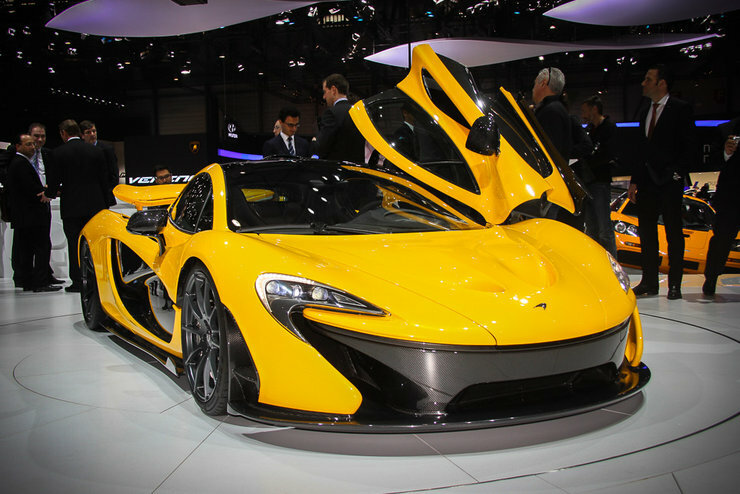 Total capacity of a hybrid engine of McLaren P1 makes 916 l. With. The twisting moment is transferred to rear wheels through the seven-step automatic gear box with two clutches. On the Geneva showroom the British company McLaren at last presented the successor legendary car of F1 which at the moment of the occurrence more than by right was considered twenty years ago as one of the most effective, hi-tech and high-speed cars on a planet. The novelty received name McLaren P1 and, without doubts, became one of main “pearls” of review in Geneva. Appearance of this coupe for certain causes many disputes, but characteristics it possesses the outstanding. McLaren yet did not publish the exact data, however it is declared that to “hundred” P1 it is dispersed less than for 3 seconds, 200 km/h from a place type in 7 seconds, and 300 mark of a speedometer reached in 17 seconds only — on 0,3 with faster, than at Bugatti Veyron and on whole 5 with — than at McLaren F1. The maximum speed is limited by electronics at maximum of 350 km/h. However, it is necessary to make a reservation that such dynamics possesses McLaren P1 with activated system IPAS — that is when the basic engine is helped by the electro-motor. Yes-yes, P1 has the hybrid engine developing totally 916 horsepower’s and 900 Nm of twisting moment! It consists from petrol V8 in volume 3,8 liters with two turbines (737 hp/790 nm), the electro-motor (132 kW), the block of accumulator batteries and the seven-step automatic gearbox with two clutches. Thus (P1 on 300 mm is longer, than MP4-12C) it was possible to keep weight of enough large coupe at level of 1400 kg — so, carbon chassis weighs only one center. By the way, McLaren P1 can pass only on electropull-rod to 20 kilometers. Difficult body style is caused, first of all, by aerodynamics — McLaren P1 was developed in cooperation with the command of the Formula with the same name 1 and has many interesting systems from «royal races». P1 has an active rear rear wing with analogue DRS — at activation DRS it reduces factor of front resistance (0.34) by 23 %. DRS it is disconnected if to press a brake or the special button. Besides, “the clever” rear wing can change the height from 120 to 300 millimeters and increase an angle of attack to 29 degrees. As a result for the speed of 300 km/h P1 has clamping force to 600 kg! It five times more than at McLaren MP4-12C and is comparable with the sport prototypes acting in marathon races. British and experience of other partners of their command of the Formula 1 used. 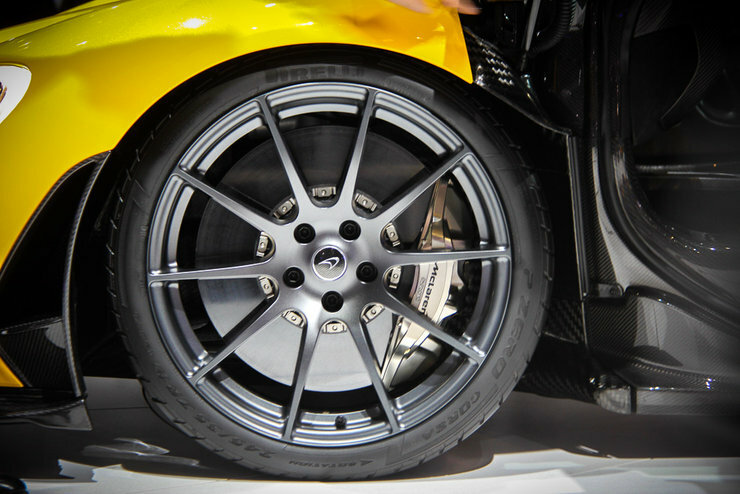 Company Akebono developed for McLaren P1 the braking system with composite wheels of new generation — they dissipate heat is better and have smaller weight. And together with tires Pirelli P Zero Corsa with special structure it provides slowdown at level of racing cars of category FIA GT3. The price of this miracle of engineering thought corresponds to car level — it starts from an immodest mark in one million euro. Also it will be released only 375 McLaren P1 units against 500 planned earlier. The reason that to potential buyers appeared important not only amazing characteristics, but also exclusivity of the car. So McLaren P1 has every chance to become the same collection rarity, as well as its well-known ancestor.